Beetles belong to the order of Coleoptera. They undergo complete metamorphosis: beetles are born as larvae, then develop into pupa and finally emerge as imago (the actual beetle). There are more than 400.000 described species of beetle, but probably there are even more. This means that roughly 40% of all insect species are part of the Coleoptera! This makes it the most diverse group of organisms there is. As pets beetles are very common, especially in Japan. 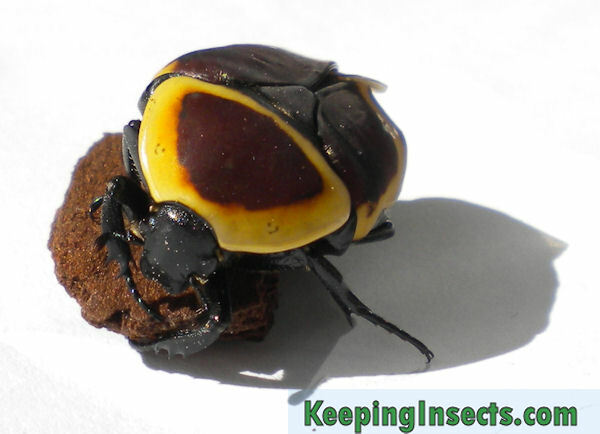 This is mainly because beetles are very vibrantly colored and can become really big. The great number of species also allows for a great variety in species, making them even more attractive. Generally beetles are also easy to care for, because they live their lives mainly as larvae which don’t have high demands for food or housing.